Many of us struggle from time to time to do the right thing. Read this encouraging article about discovering and doing what God wants you to do. Do you ever struggle to do what is right? Do you ever feel like you battle to stay on God’s path for your life? Do you ever feel like you are really close to God one day, living the right way, then the next day you find yourself doing and saying things that are clearly not in line with God’s will for you? Many of us have had these thoughts and feelings and continue to have them. They come from an internal struggle. Even the apostle Paul, who wrote much of the New Testament, experienced this struggle. There is a struggle inherent inside each of us between good and evil, between the law of the Spirit of life and the law of sin and death (see Romans 8:2). Our flesh is rooted in Adam, but our Spirit is rooted in the resurrection power of Jesus, for those who believe in Him as their Savior. 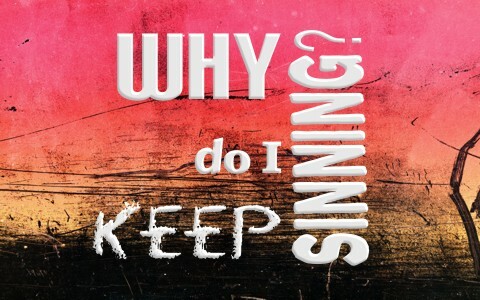 How do we overcome our flesh or our sinful nature? What is it anyway? Many of us have recognized times when we were doing sinful things and we resolve to fix it ourselves, using sheer will power or good ideas that we came up with ourselves. Does anything on this list resonate with you? Some of these things are very good (and necessary) to do, but they will not result fully in the growth and fulfillment we are seeking without total, daily surrender to Jesus Christ. There is only one way to overcome our flesh being rooted in Adam and sin; it is not just behavior modification, good intentions, a checklist of doing holy things, or a balance sheet of doing more right than wrong. The ONLY way to overcome our flesh is through the resurrection power of Jesus Christ. We need to accept Him as our Lord and Savior and submit to following Him daily. That means that we learn to truly desire God’s ways, NOT OURS. But Wait, There’s More…The Victory! Jesus is victorious! He has already won the biggest battle of all time! He lets us share on equal footing with Him, as if we had invested with Him, and were there with Him in that battle… all we have to do is say “YES” every day to Him, put down our selfish desires, and follow Him. God is commander-in-chief of the winning army… and He always will be! God made us, He knows that we like certain things. He knows we have certain gifts, skills, and personality traits. He doesn’t want us to abandon all of those. He wants us to surrender those back to Him, so He can supercharge them with the power of the Holy Spirit that rose Jesus from the grave and use them for His purposes! Let us be people that follow Jesus and allow the Holy Spirit to help us bring our heart, mind, and flesh into line with God’s will for our lives. 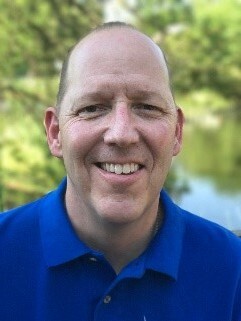 Brian Goslee is an author, speaker, and founder of Changed Through Faith Ministries . Their mission is to help fathers and their families grow closer to God and each other, using relevant faith-infused events and resources. Brian’s life has been radically changed through active faith in Christ and he has a heart for helping others experience this in their lives. You can contact him at briangoslee32@gmail.com. Well written Mr. Goslee. I believe we must be thankful, because despite our great number of sins, God’s grace is always so much bigger. Victory, as you said sir. Thank you, Jack! The victory is already won indeed! Thank you sir. Amen to that. I agree with you that the answer lies in not only daily but moment by moment practicing the presence of Christ. “Lord, help me respond to this angry client like You would”. “Help me to handle my spouses needs like You would”. Previous post: What Responsibility Do Adult Children Have To Their Elderly Parents?